Is there a minimum delivery commitment, and how long is the contract? Some deals will require a songwriter to deliver a set number of songs over the course of the contract, with the standard being about 10 songs a year. However, if you co-write any of your music, know that may impact the minimum you need to reach – if you write only 50 percent of your songs, for example, you'll need to deliver 20 songs instead of 10. Also, find out how long the contract runs. The length of the term could be a few months or even decades. What is your record of getting sync deals? While this may not have been a deal maker or breaker in past decades, since the music industry underwent significant changes early songwriters are seeing a growing amount of their income coming from sync deals – music licensed for television shows, video games, and advertising. Make sure that the publisher you are considering can show a proven record of success in placing the music of other clients or allows you to keep 100% of your copyright, like Songtrust does, so you’re free to pursue any creative opportunities that come your way. What will a publisher do for me at this point in my career? 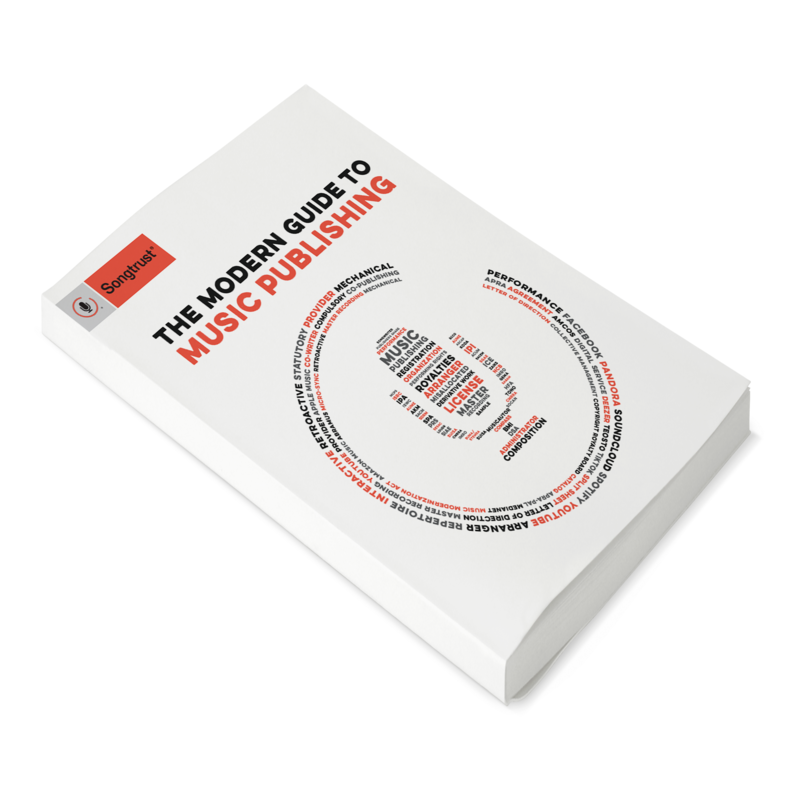 As exciting as it may be to sign a traditional publishing contract with a music publisher, it's worth assessing where your career is and what you expect from a deal. A songwriter who has had some commercial success is going to have different needs and expectations from someone who is just starting out, and whichever category you fall into, it's worth determining what your expectations are before you sign on the dotted line. If you don't think your music is going to find its groove in commercial sales you'll want to find a publisher experienced in getting music synced, while someone writing top 40-ready tunes will want a publisher who can help pay for demo recordings and help land a record deal. At the end of the day, you’ll want a publisher who is going to support and advocate for you and your needs, whatever they may be. There are pros and cons to both small and large publishers, so make sure the one offering you a deal is a good fit for your needs. Large, multinational publishers have the muscle to enforce copyrights and can sometimes find it easier to get sync deals, but know that you will be just one of many, many artists they're handling – and if there are many others on their roster who have similar music to yours, how much time and effort will they put behind advancing your career? While a smaller publisher may be quicker to return your calls, how the company handles usage and royalties internationally is worth checking out before signing, as they may face challenges in pursuing all the moneys owed to you. For a happy medium, especially while you’re finding the best traditional publishing deal to sign with, don’t forget that publishing administrators, like Songtrust, will collect your royalties on your behalf while letting you maintain 100% of your copyrights, making them an ideal fit while you search. There are several different deals you can sign with a publisher – a traditional publishing agreement, a sub-publishing agreement, or an administration agreement. With a traditional publishing agreement, income collected by the company is split between the publisher and writer, though the publisher retains the copyright on the song. For a sub-publishing agreement, the writer receives a percentage, but also receives a percentage of the publisher's share. This lets songwriters take a greater percentage of the profits, but they will only co-own the song. With an administration agreement, the publisher collects revenues for a percentage of the profits while the songwriter maintains full ownership of their copyrights. If signing a publishing deal seems to deprive you of either too much of your music's earned profits or the rights to your music, Songtrust offers a software solution that lets creators retain 100% of their rights and earn global royalties on their music for a low-cost administration fee. Make sure that you’re completely covered - collecting both your writer’s and publisher’s share of mechanical, performance, and micro-sync royalties - while you’re waiting for the perfect publishing deal to come along.